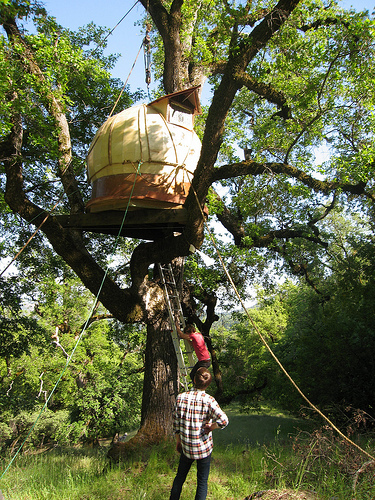 Everyone loves a tree house. This one is particularly pleasing. 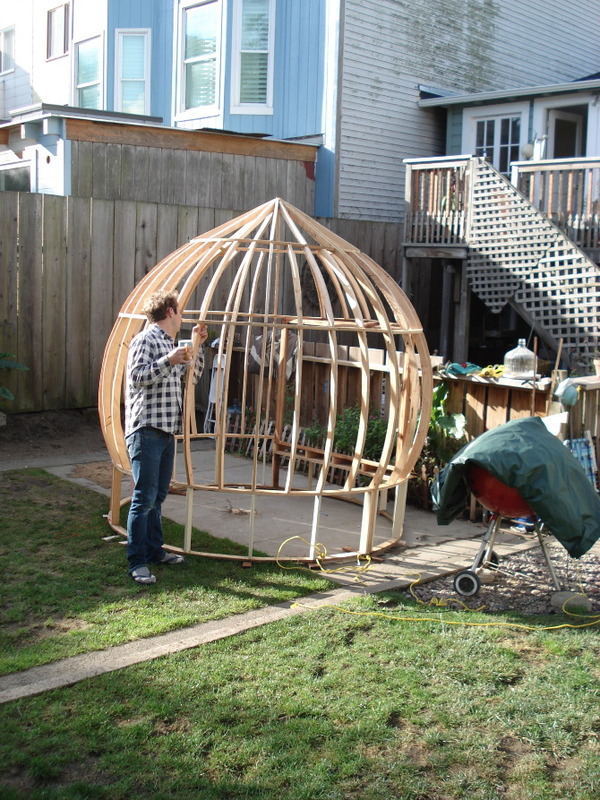 San Franciscan artist Jay Nelson in 2007 for Larry Rinder. It was intended to be discovered on his property by visitors and used as a creative space. 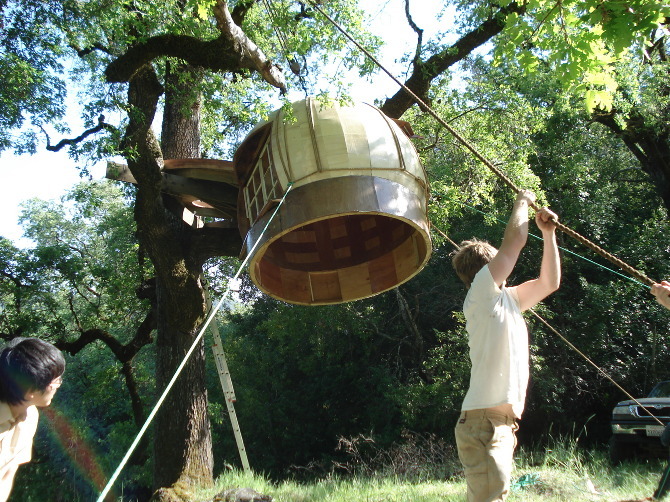 This entry was posted in Green Building and Bamboo and tagged artist, california, dome, dome living, jay nelson, tree house, ukiah. Bookmark the permalink.